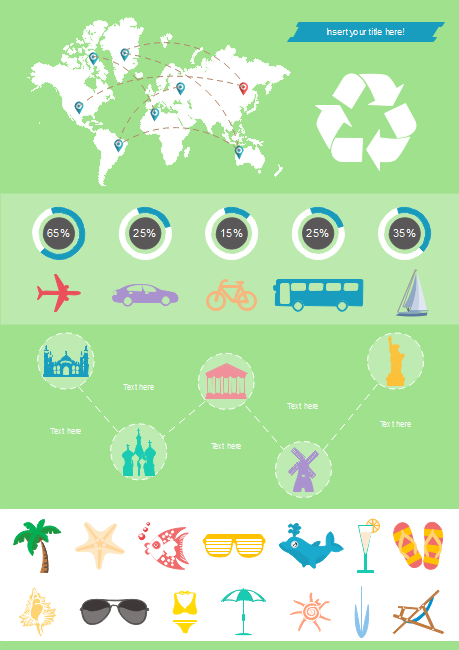 Create tourism infographics with various tourism clip arts and symbols. You can also edit these symbols and clip arts to your liking or insert a local image into your infographics. To create a professional and inviting tourism infographics, you need to select easy-to-use infographics software with extensive tourism templates and relevant symbols. Edraw infographic maker fulfills the required criteria completely. 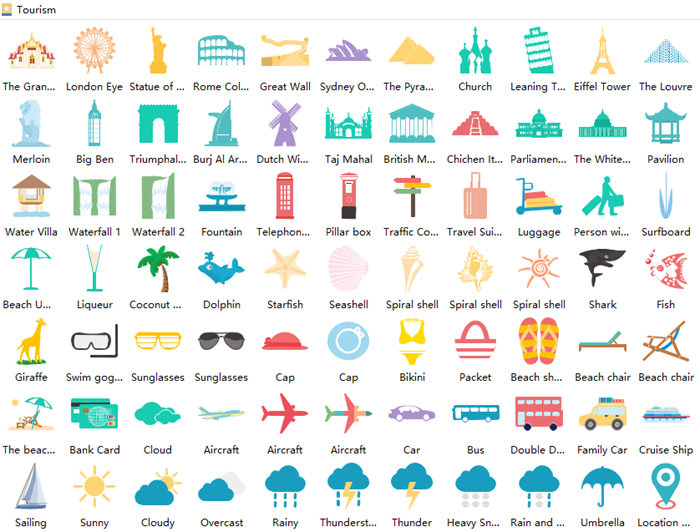 Edraw contains many tourism-related clip arts, symbols like aircraft, cloud, beach umbrella which can help make really nice tourism infographics. 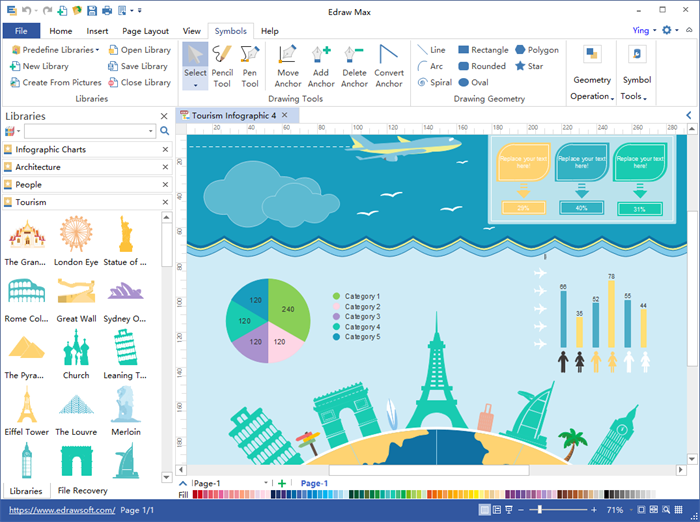 Built-in editable charts and maps. Export to PDF, PNG, SVG, PPT, PS, EPS, JPEG, etc. All of the preset clip arts are editable. They can be recolored, resized, filled, shadowed, rotated and grouped/ungrouped basing on your needs. One of Edraw's advantages is that it allows users to draw new symbols. The symbol drawing toolkits in this program can assist to design custom symbols very easily. It requires minimum learning curve, so even people without training could use it immediately. 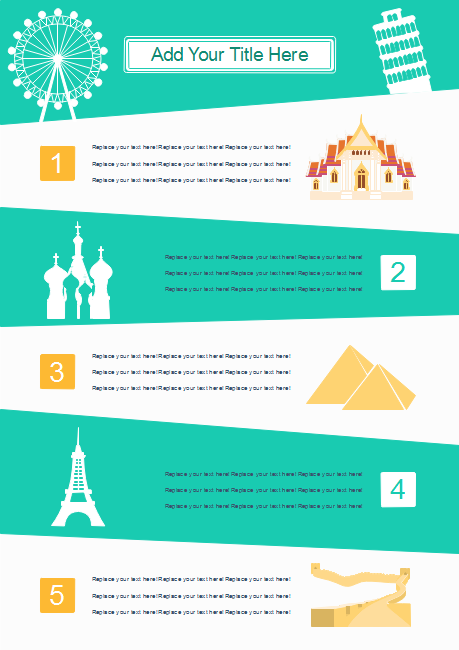 Many tourism infographic templates are preset in the program. You can select any of them and edit it to your liking. You can also change the theme, layout, dimension, etc. Besides tourism infographics, Edraw also provides other types of infographic templates such as: business infographics, medical infographics, transportation infographics, technology infographics and so on. Try This Splendid Infographic Tool! Download this awesome software, you will find it comfortable with the superb experience, reasonable price and convenient service.